This camp is designed to draw the musician out of everyone, whether you have a musical background or not. The session is broken into short modules, including Guitar Class, Introduction to Percussion/Drum Set, Soundtrax and Guitar Band. 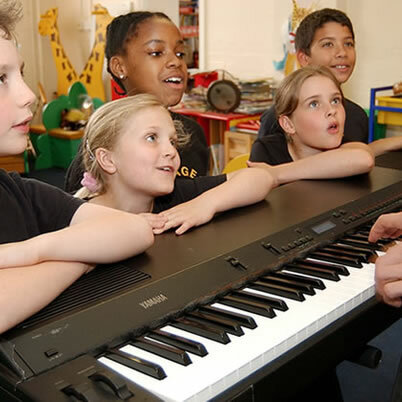 Each module will focus expose children to new and exciting aspects of the music world. For more information and a breakdown of the sessions, please visit www.msmvan.com. Please note that guitars are required for participation in the program. These can be rented for an additional $10 at the time of registration. Ideal camp for those looking to have an exposure to a variety of musical experiences! The camp is broken into short modules, including Music Through Storytelling, Introductory Piano Class, and Introductory Recorder Class.